Your website may sell products or services, but that’s not what your customers are really buying. They’re looking for something that will make their life better — and you’re selling that something. People come to your site in search of benefits, not to spend their time jabbing at their mobile, searching keywords in vain, or clicking their mouse and seething with frustration. AWA helps you make life easier for your customers, and in turn, your customers give you more money. 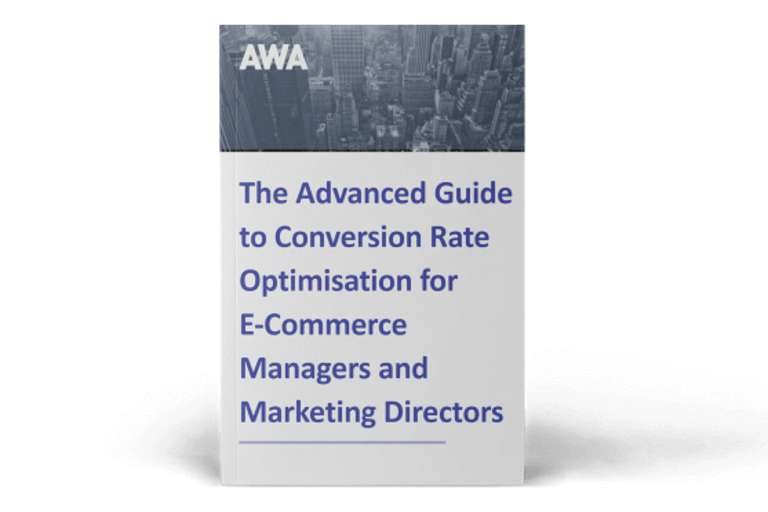 True conversion rate optimisation involves far more than attractive design or “usability”. Advances in neuroscience have uncovered a raft of persuasive forces that factor into every human decision, and much of this research underpins our approach to CRO. When your business invests in optimisation, you don’t just improve usability. You also improve “buyability,” which means higher sales, more repeat purchases, stronger customer loyalty, increased profits, and glowing online reviews. Our work helps people buy what they want quickly and easily, so they can get on with the important parts of life (like spending time with friends and family). Ultimately, better buying experiences help build a stable economy and a happier, more prosperous society for all to enjoy. That’s why we do conversion rate optimisation. 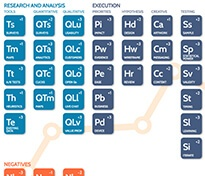 Effective CRO is a process. Success depends on following a proven system, without cutting corners or letting guesswork and opinions take over. AWA’s methodology is rooted in extensive research and analysis. Our scientific process depends on validating recommendations through split testing. Our approach to CRO has proved its worth on hundreds of successful projects for websites large and small. We refine, improve, and iterate on it regularly. AWA digital began as Applied Web Analytics in 2008, when founder Dan Croxen-John saw how the inarguable power of analytics could help businesses improve their online presence. Since then, over 100 clients have retained AWA for CRO services, from small startups to multinational blue-chip companies. 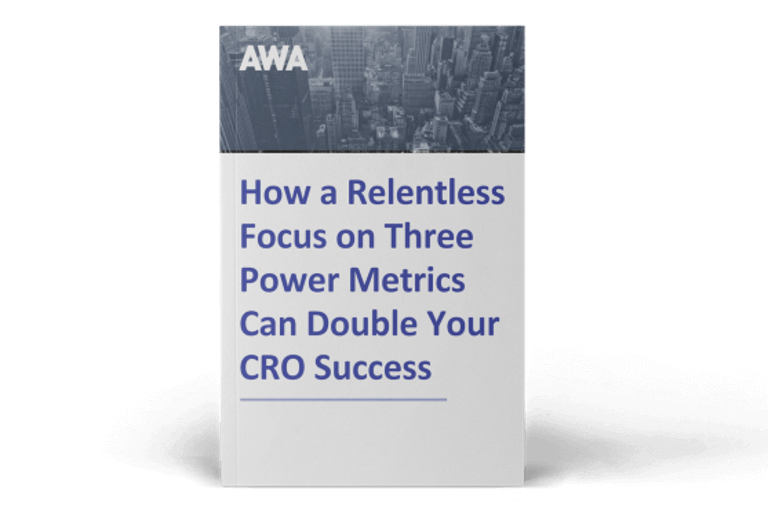 Today, AWA is one of the world’s fastest-growing global CRO agencies — and analytics is still one of the most valuable tools we use. Our leadership team has decades of experience in growing businesses through the application of the principles of direct marketing, neuromarketing, consumer research, growth-hacking and validated learning. We were optimising before the invention of the term "conversion optimisation". The full AWA team includes web analysts, copywriters, marketers, designers, front-end developers and tool specialists. As CEO, Dan leads the business in ensuring that the agency continues to innovate, grow, and serve its expanding client base across three continents. Prior to founding AWA, Dan ran a number of successful multichannel retailers. He holds an MBA from Bath University School of Management, and is a Fellow of the Institute of Direct Marketing (IDM). Dan is the co-author of E-commerce Website Optimization (Kogan Page, 2017). Johann was an early adopter of Conversion Rate Optimisation as a discipline, and is the co-author of E-commerce Website Optimization (Kogan Page, 2017). He leads the AWA Optimisation Team, and also takes the role of lead optimiser on some projects. His corporate background, and subsequent experience as e-commerce turnaround CEO, affords him a unique client-side perspective that’s invaluable in website optimisation. Mel is an experienced strategist and copywriter who learned the skills of direct marketing at Ogilvy & Mather Direct. Mel heads a team of specialist designers and copywriters who work with AWA optimisers to develop new web pages for split testing. She is also the author of the Amazon business bestseller, Flicks & Clicks: How to Create Websites and Catalogues that Sell More. Read about our recent awards, case studies, test results, and new service offerings. We have offices in the UK, US, and South Africa — visitors welcome! We’re proud to partner with many of the major testing and personalisation platforms, including Google, Optimizely, VWO, Hotjar, and more. If you’re a best-in-class optimiser, we’d like to hear from you.